Macro extension tubes and close-up lenses are devices that add high magnification capabilities to virtually any camera lens. 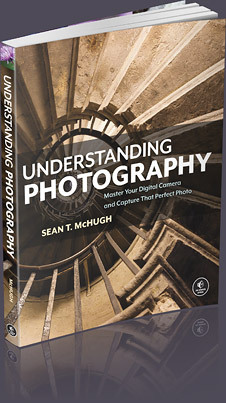 This can give a whole new range of subject matter to your existing camera equipment. However, it's often unclear exactly how much magnification you'll gain, in addition to whether one of the other macro options will provide a better solution for your needs, such as purchasing a dedicated macro lens. An extension tube is simply a hollow cylinder that fits in between your camera and lens, causing the lens to move farther from the sensor. This additional distance allows your lens to focus more closely, which in turn provides more magnification capability. Unlike most lens accessories, extension tubes don't add any extra optics, and are therefore relatively inexpensive, simple devices. Note: Diagram assumes that the lens is symmetric (pupil magnification = 1). An extension tube increases lens magnification by an amount equal to the extension distance divided by the lens focal length. For example, adding a 25 mm extension tube to a 50 mm lens will give a magnification gain of 0.5X. Therefore, if the lens's original magnification was 0.15X, then the new magnification will be 0.15X+0.5X=0.65X. The closest focusing distance will also decrease to ~210 mm. Note: above example is shown using a full frame camera and a Canon EF 50 mm f/1.4 lens. Note: "closest focusing distance" is defined as the distance from the camera's sensor to the subject. Note how extension tubes provide minimal magnification when used with telephoto lenses — which is unfortunately their main weakness. An extension tube is usually specified in terms of its extension length in millimeters. 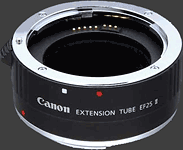 Most manufacturers provide a range of extensions from 8-35 mm, although multiple extension tubes can be stacked to increase the extension even farther. Examples include the Canon 25 mm EF II, the Nikon 8 mm PK-8 and the Kenko DG 12 mm, amongst many others. Extension tubes also usually include basic electronics to pass through signals between the lens and the camera body (such as for autofocus). Important considerations. Image quality shouldn't be a factor when deciding between different brands of extension tubes (all use the same low dispersion air). However, build quality may be an important consideration — particularly if you plan on using it with a heavy telephoto lens. Additionally, older extension tubes don't always work with newer lenses designed for cropped SLR sensors. Much less expensive than purchasing a dedicated macro lens. Provides a flexible and upgradable increase in magnification with virtually any camera lens — even existing macro lenses. (thereby minimizing any potential loss in image quality). Provides consistent, predictable quality regardless of extension tube brand. Provides only a minimal magnification gain with telephoto lenses. Causes your lens to lose the ability to focus on distant objects. 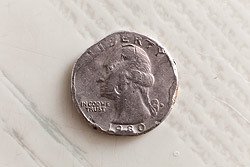 (as described in the tutorial on macro lenses: effective f-stop). Causes your lens to focus more closely than it was designed. High magnification images will therefore usually have lower quality than with a dedicated macro lens. Requires that you remove your lens from the camera each time you wish to change the amount of extension (which raises the risk of dust settling on your camera sensor). With zoom lenses, the image can go quickly out of focus as one zooms in or out. If any of the above disadvantages has the potential to be a problem, it's worth considering using either a dedicated macro lens or a close-up filter (next section). Close-up lenses are special lenses that screw onto the front of your lens like an ordinary camera lens filter. They're basically just a sophisticated magnifying glass that's placed between your lens and the subject. It's for this reason that they're also often called "close-up filters." A close-up filter is usually specified in terms of "diopters," which is a measure of their magnifying power. Higher numbers yield more relative magnification on a given lens, but image quality also tends to decrease correspondingly. Typical values range from +2 to +5 diopters, although multiple close-up lenses can be combined to increase this further. Note how close-up filters increase magnification much more when used with longer focal length lenses. For example, a 50 mm lens requires +10 diopters to achieve a magnification gain of just 0.5X, whereas a 200 mm lens requires only +2.5 diopters. Conversely, a given close-up lens might be too powerful (and decrease image quality too much) when used on a 200 mm telephoto lens, but might be just right on an 80 mm lens. (since the effective aperture no longer increases). However, when both are set to the same depth of field and magnification, both capture roughly the same amount of light. Doesn't require removing the lens from the camera body. Inconvenience. A different close-up lens is required for each filter size; close-up lenses are also unavailable in filter sizes greater than 77 mm. Provides a minimal magnification gain when used with focal lengths less than ~80 mm. Places additional glass between your camera and subject, which may decrease image quality. 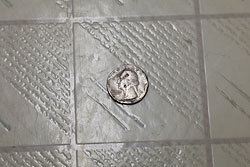 However, double element close-up lenses minimize most of this quality loss. Often more expensive than extension tubes (but less than a dedicated macro lens). May prevent your lens from being able to use other filters. Teleconverters. Even though these are typically used to increase a lens's focal length, they're also a popular way to increase magnification. The teleconverter multiplier directly correlates with the increase in magnification; a 2X teleconverter therefore doubles the maximum magnification. Disadvantages include (i) a loss in image quality and (ii) an increase in the len's minimum f-stop (max aperture), which may prevent a camera from being able to autofocus. Bellows. These are basically adjustable length extension tubes. They're typically much more expensive than normal extension tubes, but also often enable your lens to make tilt/shift movements to reposition the depth of field. However, bellows can be quite cumbersome, so studio/tripod use is usually a requirement. Reversing Rings. These allow your lens to be mounted in the reverse direction. They attach to your camera where you would normally mount the lens; your lens's front filter mount then screws onto the reversing ring, causing the inner (and normally hidden) part of your lens to face outward. Shorter focal length lenses will allow for closer focusing distances and higher magnification. The main disadvantage of reverse rings is that they result in an extremely narrow range of distances which can be in focus. Other complications potentially include the loss of aperture control and autofocus. Cropping. You can enhance the size of a subject in a print by simply cropping the image. This is an easy and powerful option if you have some extra resolution to spare (which is increasingly the case with today's high megapixel cameras). If any given lens add-on provides insufficient magnification, it's also common to see macro photographers combining/stacking multiple add-ons. One could use a teleconverter along with an extension tube, for example, or a bellows in addition to a close-up lens.